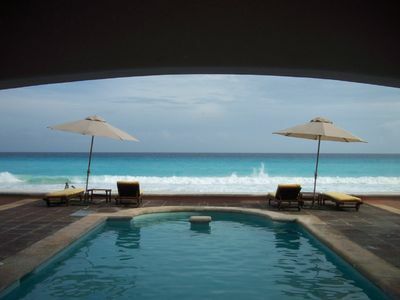 Villa La Gran Tortuga is a very secluded and recently refreshed luxury estate in the Mayan Riviera. 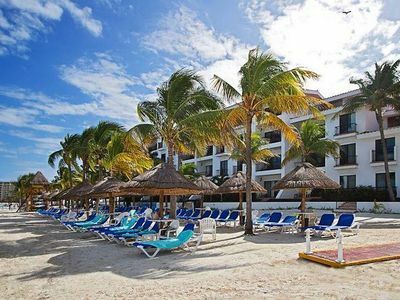 Located on Playa del Secreto, one of the most pristine white sand beaches in the world. 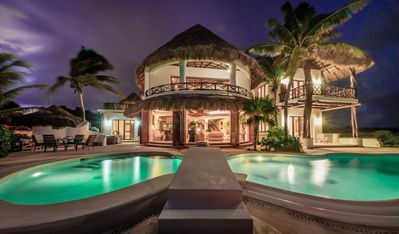 This property is a unique oasis that offers ultimate privacy, security and seclusion in a postcard perfect tropical ocean setting, complete with natural palapa roofs, throughout. 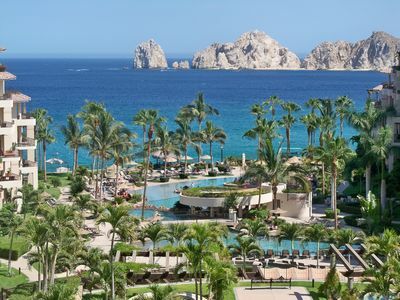 The newly renovated, contoured swimming pool including 3D tortugas and an arched bridge lies against the white sands of the beach where you will find lounges and parasols just steps from the turquoise ocean and breaking waves. Sea kayaks are also available. To unwind, you can take a well deserved soak in the outdoor Jacuzzi as the sun starts to set or relax in the pool. There is a convenient new pool bath and shower. 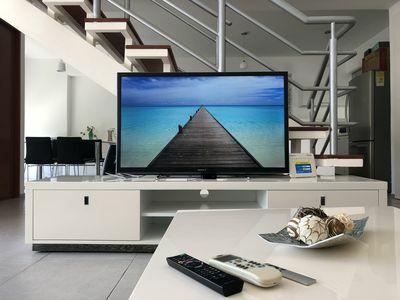 You will find a home entertainment system with dish network TV, a DVD player, Wireless Sonos sound and Wi-Fi. Your reservation includes housekeeping. 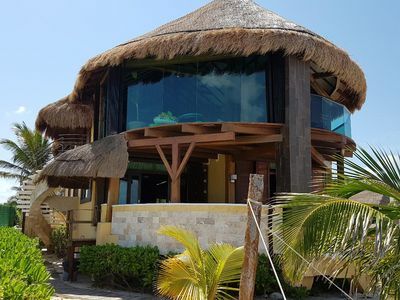 There are five (5) complete suites that sleep a total of ten (10) and the four rooms within the villa has a magnificent view of the Caribbean Sea. The jungle lagoon is breathtaking with its sunset views and bird sanctuary. 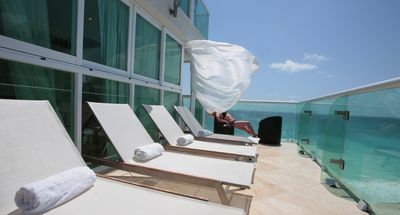 Indoor living and dining spaces open right out onto the pool deck with cool sea breezes flowing day and night. 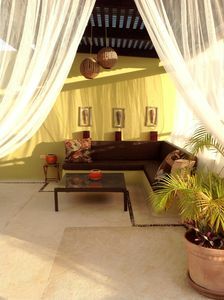 Cushioned rattan furniture provide comfort and contribute to the pristine tropical ambience. Three of the bedrooms include an en-suite bathroom with a Jetted tub, air conditioning, a sitting area, audio, video and a kitchenette. 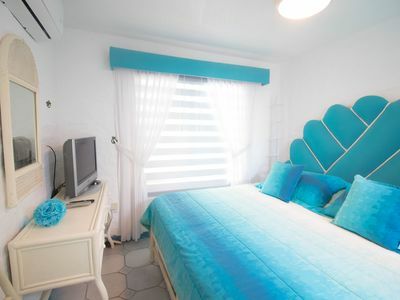 The fourth bedroom has an attached full bathroom and two twin beds. The master bed frame retains the natural shape of the tree trunk and roots from which it was hewn and is a magnificent addition to an overall concept that unites modern comfort with the thrills of Caribbean nature. 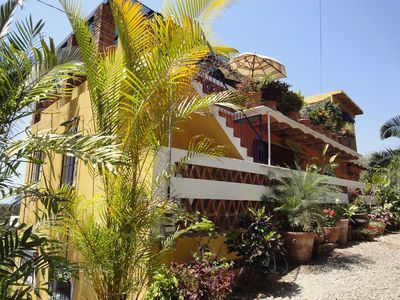 The fifth suite is a detached garden casita with full bath, AC, audio, video and kitchenette. 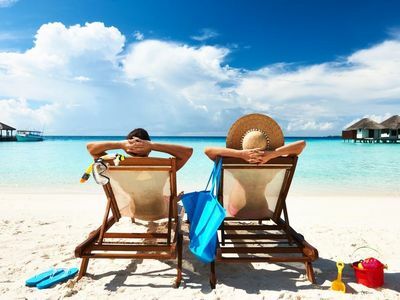 Playa del Secreto, or “Secret Beach,” is a sanctuary where you will find an exclusive residential community where villa owners are committed to preserving the area as an exclusive and immaculate location. 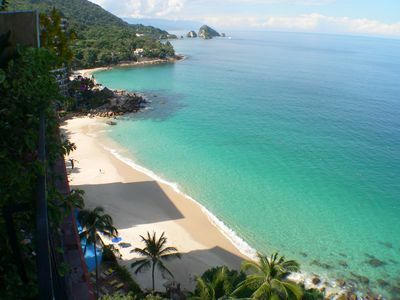 This private, gated and guarded beach community offers all you can ask for in the Mayan Riviera. 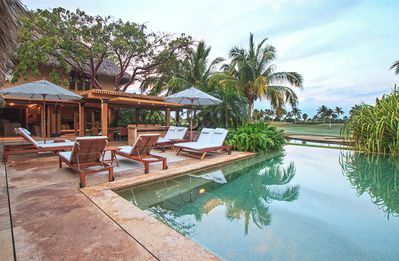 Whether you spend your days on the water, playing golf or just sipping your favorite cocktail, Villa La Gran Tortuga offers a level of tranquility that will leave you wanting to return again, year after year. 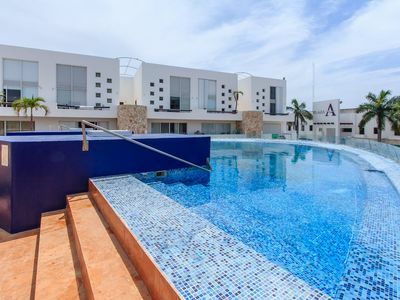 King size bed, en-suite bathroom with Jetted tub and shower, satellite TV, wireless audio, ceiling fan, air conditioning, sitting area, kitchenette, fridge, electronic safe, toaster, coffee maker, outdoor bed, large terrace and balcony seating area on second level. 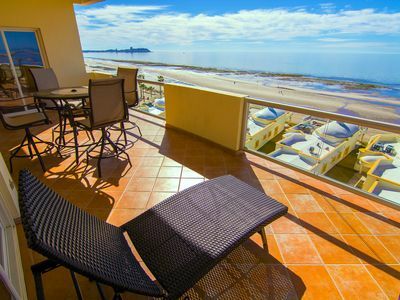 2 Twin beds, attached full bathroom, AC, direct beach and pool access. 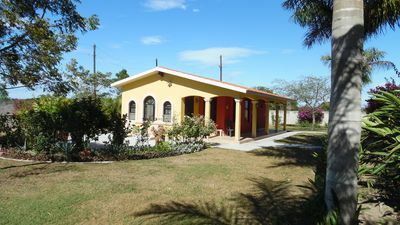 Garden casita, 2 twin beds, en suite bath / showers, TV, wireless audio, ceiling fan, kitchenette, separate seating area, coffee maker, toaster, fridge, air conditioning. • Gated and Guard secured access. • Check in: 3:00 P.M.
• Check out: 11:00 A.M.
• Rental car recommended, but car service is available through local concierge. 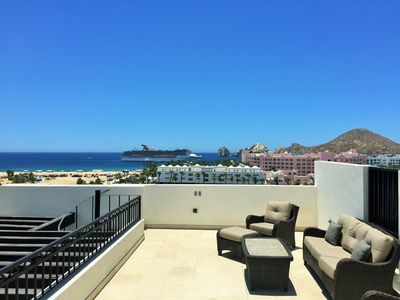 by Tim M - Penthouse #2701 - Spacious & Beautifully Finished & Wonderful Views! 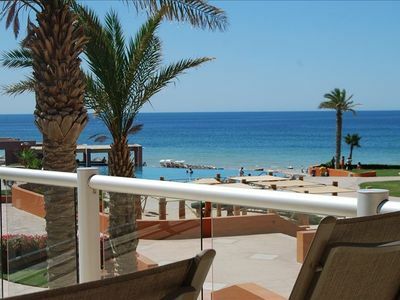 From July to September 27th $85 a night!! 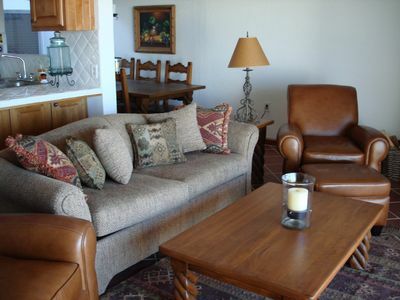 Dec.6-to Jan2,2019 $100.00 a night! 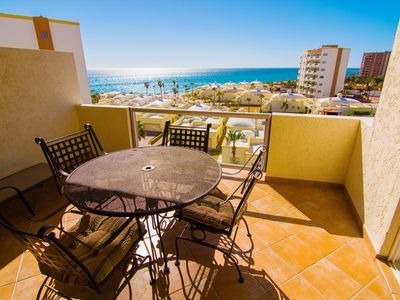 Awesome Condo Loma Del Mar D-7 - Romantic zone / Olas Altas.